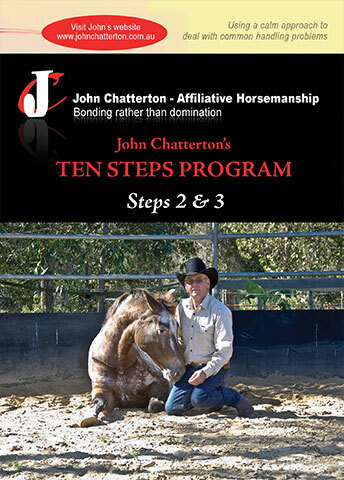 Step 9 – Leading in Position – Now you are ready to most of the Steps into practice! 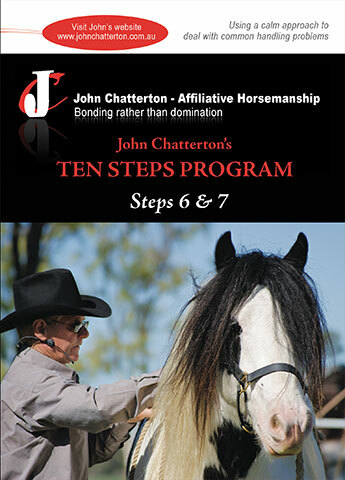 Step 10 – “Long Rein Lunging” – Teaching your horse to lunge by long reining them first. An extremely rewarding step. 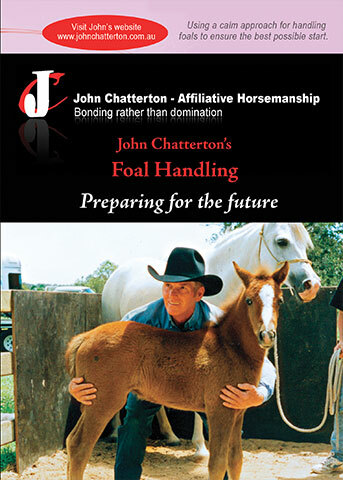 A relaxed horse on the lead results in a relaxed handler. When the horse is bargy, people resort to pushing back into the horse with their elbow or body. When your horse has successfully learnt and accepted the above steps he will calmly and politely walk along side you without the use of a whip, bits or chains. Most people lunge horses first. Usually because they don’t know how to teach some important steps before that. John believes it should be taught last. Most horses have no knowledge of what you are asking when starting to lunge them, therefore people usually send them forward with a lunge whip or by swinging the rope. This doesn’t promote natural rhythm just a horse that is basically running around in circles away from the whip. 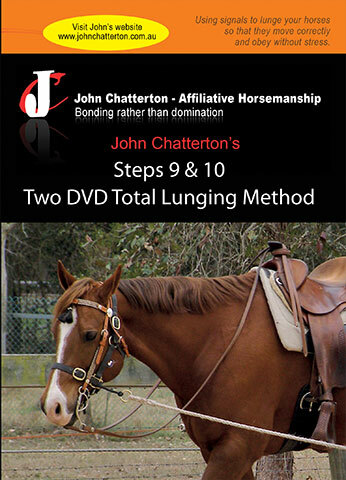 Johns unique lunging method encourages horses to wait for a signal and travel with a soft spine and neck. 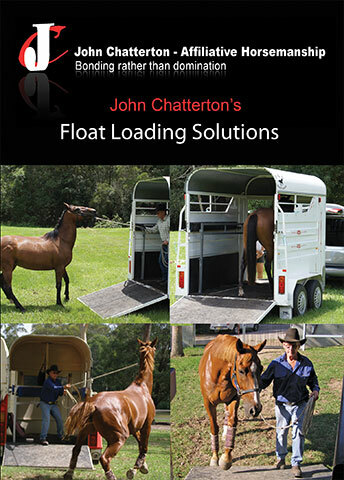 Before lunging, John highly recommends “long reining”. This is done at the walk to start with and teaches softness and bend. Often their first trot and canter will be done during long reining but only after a good walk has developed which may take days or weeks. Then the progression to lunging results in natural balance and rhythmic paces with a soft spine, neck and beautiful cadence.